No one can say “Jesus is Lord” except by the Holy Spirit (1 Cor. 12:3b-13). With time I’ve come to a different understanding, though not completely different. I now hear these words, “Jesus is Lord,” as an early creed, a Christian reimagining of the tradition handed down to us through the words of the Torah, the prayers recited in the morning and evening by our Jewish brothers and sisters, “Hear, O Israel: The LORD is our God, the LORD alone” (Deut. 6:4). But it’s not a creed in the way that we sometimes experience the creeds in worship, like a fragment of memory preserved in amber and recited as a testament to the past. To say “Jesus is Lord” is a creed in the way that creeds may first have been used, as a public declaration of independence from all the forces of this world that work so hard to enslave us. The forces of greed, of violence, of envy, of terror. The forces that masquerade as the basis for our life together, the marketplace and the military, a strong economy and the power to keep it that way. To say “Jesus is Lord” is an act of bravery and imagination, because it implies that there is another way to live than the way we are living now, another world than the one we know, and it commits the speaker to the work of bringing that world into existence. You know what I am talking about, because you are dreamers. What have you been dreaming about lately? Do you know? Do you remember your dreams? What is your soul trying to say to you about the deepest yearnings of your heart? Dreams are powerful things, in part, because they create a space where the mind can conjure up impossible solutions to impassable problems. I remember that as a boy I had a recurring nightmare that I was being chased by a mob of children down the street on which I lived. Each time I had the dream I would run as fast as I could until the children would finally grab hold of me, pull me to the ground, and begin to beat me. One night, as I was fleeing, it occurred to me that I might escape them by climbing a tree. So I leapt up and grabbed the lowest branch, pulling myself up and resting as the children gathered around the base of the tree yelling at me. Soon they began throwing sticks and rocks at me, so I jumped from one tree to the next, evading their attacks, until I came to the end of the street and there were no trees left. Then the children began to climb the tree so that they could drag me down again. 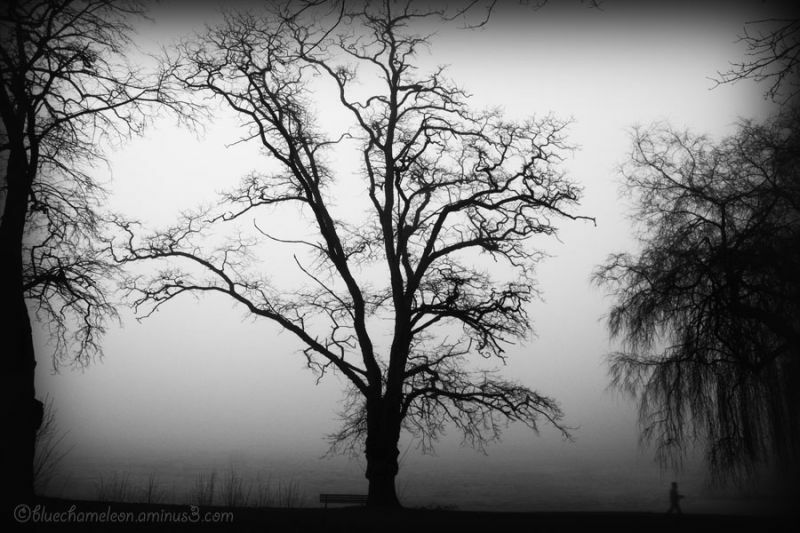 It went on like that for another year or so, the nightmare visiting me every so often as I slept, always ending with me in that last tree at the end of the street, until one night when it occurred to me that I didn’t need another tree to escape, because I could fly. As the children began swarming at the base of the tree, reaching for its lowest limbs, I climbed up to the highest branch and looked up into the sky. I remember there was a bird coasting on the wind, barely working at all to stay aloft, and I decided to fly. I didn’t even have to leap, I just spread out my arms and rode the wind away from that tree on that street with those children. I never had that nightmare again. Dreams make the impossible possible, they give us a chance to practice imagining a world different than the one in which we spend our waking hours. For a little boy, the daily anxiety of navigating rooms filled with children who could be carelessly cruel seemed inescapable. In my dreams however I discovered that I could rise above my fears and found the freedom to explore the wider world. Do you remember any of your childhood dreams? What were they trying to tell you? What new possibilities, what new worlds, did you create with your prophetic imagination? 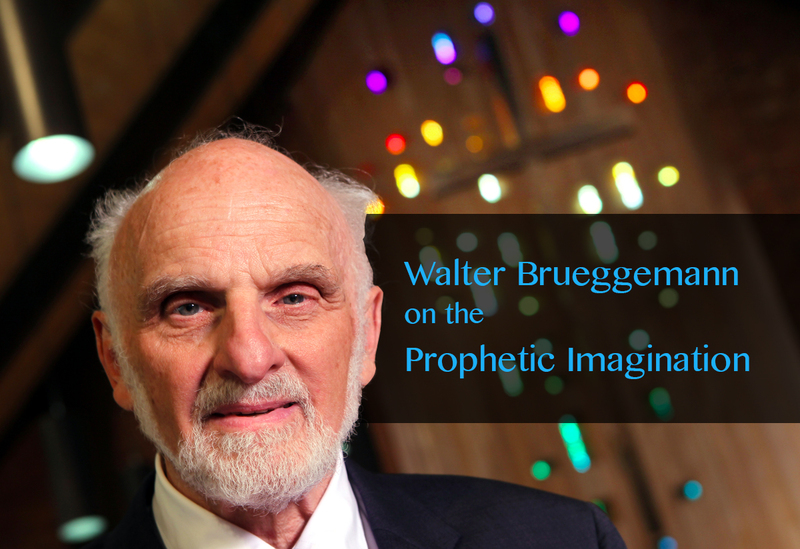 What Brueggemann is describing is our calling as Christians to imagine a world other than the one in which we live. He describes the commodification of creation as the primary obstacle to envisioning a new world, and I agree. We see this most easily in the advertising that surrounds us, a kind of waking dream in which impossible ideas get expressed as though they were reality — cosmetics equal beauty, cars equal power, cereal equals health, cell phones equal friendship, new homes equal family. The waking world in which we live and move and have our being has adopted the symbolism of our dreams, offering us a kind of pseudo-escape from the very real problems that pursue us. Except that, when we spread our wings and try to fly away from the anxieties of our lives in our new car, or our new home, or our new vacation, or our new phone, we find that we have really only leapt from one tree to the next, and our problems are still waiting for us. What Peter preached to the people of Jerusalem, what Paul confessed to the people of Corinth, was not just another illusion, another substitute for the deepest longings of their hearts. What they offered was a new vision for the world, a living dream that was breaking into reality, that was calling people to renounce their old allegiances to empire and exploitation, to fear and accommodation. The alternative they proposed was like a word spoken in a dream at the beginning of time, planted deep in the mind of every dreamer. The word was light in dark places. The word was truth in a culture of lies. The word was power to the powerless. The word was hope for the despairing. The word was food for the hungry. The word was love for the lonely. The word was life, rising up from every grave and waking every dreamer from the long night. The word was loose, and could not be contained, could not be silenced, could not be bought. The word has a name, it is Jesus, and he is LORD. When we say that, it is like the moment that sometimes happens while you are dreaming when you realize that you are in a dream, and it dawns on you that you might shape the dream rather than just observe it. Lucid dreaming, it’s called. When we say, “Jesus is LORD,” we are making the choice to not simply observe the world around us, but to change the world around us. We are committing ourselves to God’s dream for the world, and we are working to birth it into reality. Sisters and brothers, these are the last days, and God’s Spirit has been poured out on us. We are God’s dreamers, God’s visionaries, God’s prophets. We rise from our beds like Christ rose from the tomb, undefeated by the powers and principalities of this world. We rise from our beds like Christ rose from the earth, glorifying the God of creation for whom nothing is impossible. We rise from our beds with stories to tell about the dreams and visions God has placed within us all, dreams that point the way to God’s preferred future. Tell me, you prophets and seers, about your dreams. Tell one another. Can you see the new world coming? Come, let’s build it.